Let's face it; Horse ownership is expensive and so is safe, high quality, fit-for-purpose horse transport. Unfortunately, through no fault of their own, that's why many people take the gamble with potentially unsafe, sub-standard builds to try to cut the cloth according to the cost. It's an easy trap to fall into but it's something that genuine manufacturers like ourselves see all too often, and in many ways it's a false economy. That said, money doesn't grow on trees! Which leaves us in a catch-22. 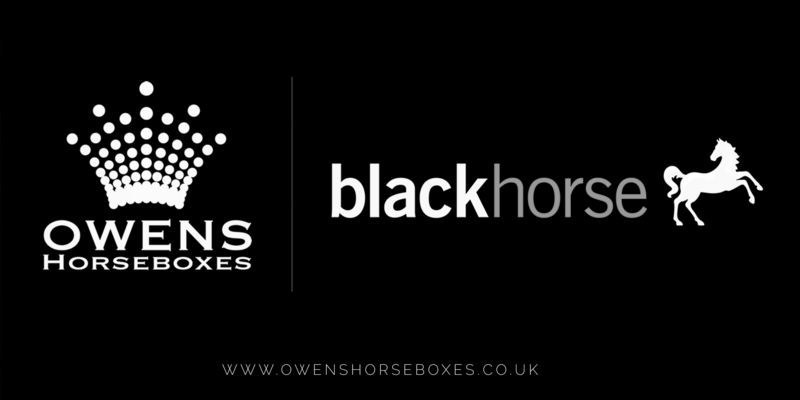 That's why are very proud to be fully authorised by the FCA and are now working directly with recognisable consumer lender Black Horse Finance, part of the Lloyds Banking Group, as an approved dealer to help you buy your dream Owens horsebox whilst spreading the cost with regular affordable payments. Finance is available to UK residents aged 18 years or over, subject to status. Full terms and conditions apply. To learn more about our finance options and if this is affordable for you, why not contact one of our friendly sales team to get your free quote today?